Their eyes will open wide when they get a look at you in this huge 12″ dog ear collar shirt. The new two-tone idea is carried out in contrasting color around the exciting collar and at the ends of the covered button cuffs. Silk crepe fabric blended of 80% rayon, 20% nylon. 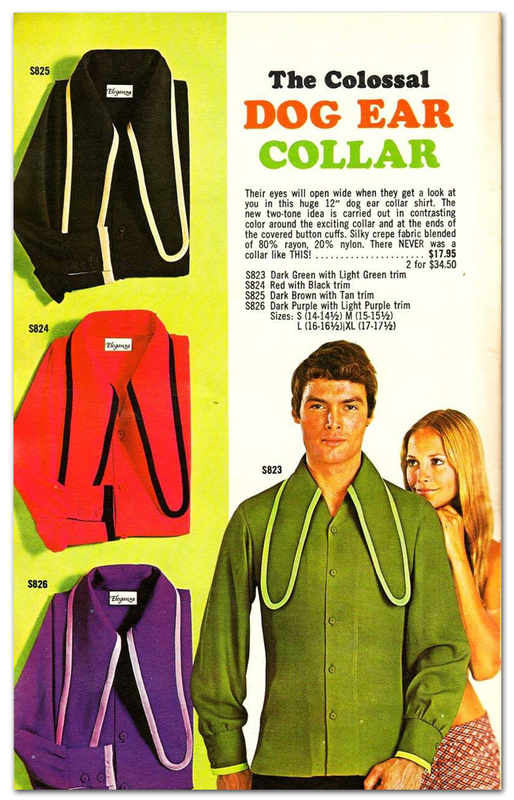 There NEVER was a collar like this!